Looking for a special Father’s Day treat for your father or husband this year? 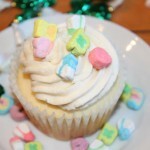 Sugar Blossom Bake Shop in San Clemente, CA has put a manly spin on the cupcake. 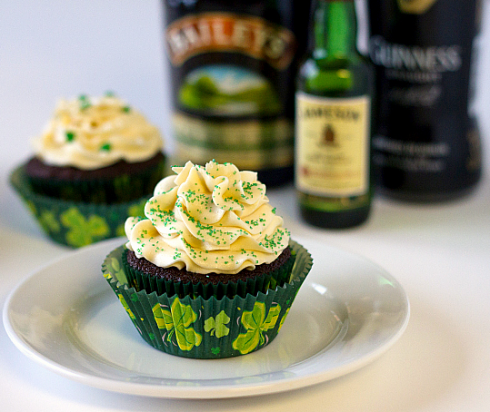 This bakery will be selling Guinness cupcakes from June 10-19. If you don’t live within driving distance, they have been kind enough to share the recipe with us. 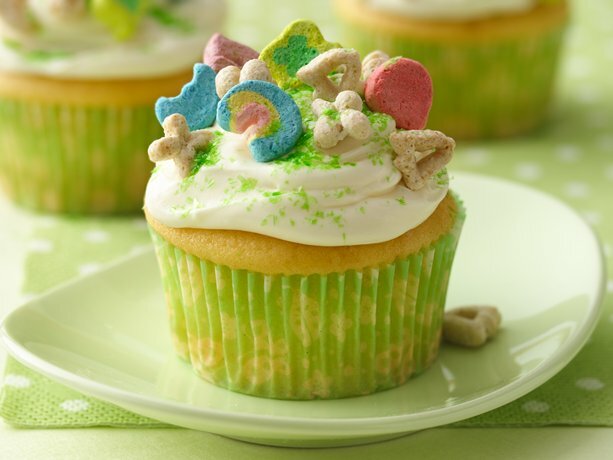 Since he’ll probably be asking for more, be sure and check out other beer cupcake recipes that ATC has posted in the past: Beer, Cheese, Bacon & Cream Cheese Cupcake, St. Patrick’s Day Cupcakes, and winning recipes from the Scharffen Berger Cupcake Adventure Contest. We hope Dad will be impressed! St Patricks Day is just around the corner, and well although I am not Irish I am keen to celebrate for any reason at all. Countries such as India fascinate me because every week there is a new celebration… but being Australian, I settle for the fact that we constantly seem to have some home grown festival to celebrate, and where there is a gap in the calendar, we look to our multicultural heritage. 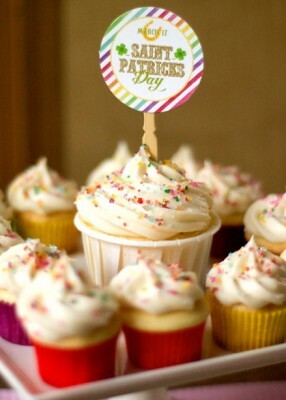 So last week was National Women’s Day, and this week is St Patricks Day, and in trying to find the perfect cupcake to bake for our humble celebration at work on Thursday, I stumbled onto the Brown Eyed Baker, a website I often frequent, who has created her St Patty Cuppies which are called ‘Irish Car Bomb Cupcakes’. 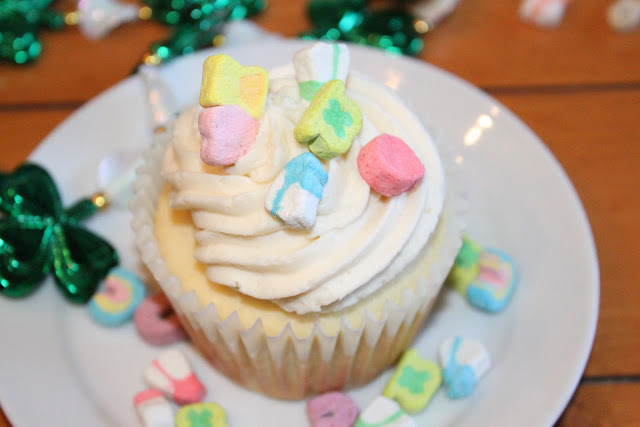 But it is not just these fantastically boozy cupcakes she has, but a whole selection of St Patrick’s treats including beer waffles with cinnamon-caramel apples, guinness milk chocolate ice cream, Irish brown bread and more. 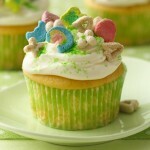 For me though, the cupcakes will be perfect!! Recipe can be found here! Saint Patrick’s Day is right around the corner, Tuesday March 17th! What will you will be doing to show everyone that you have a little bit of Irish in you(everyone is Irish on Saint Patty’s Day!)? 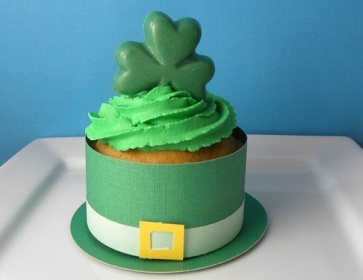 I think I will be whipping of a batch of these Leprechaun Hat Cupcakes from AmazingMoms.com. 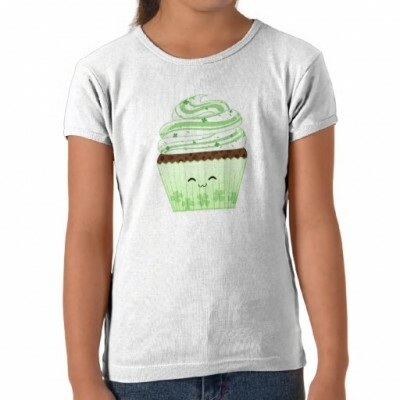 You can use any cupcake and white frosting (to dye green) recipe you would like. 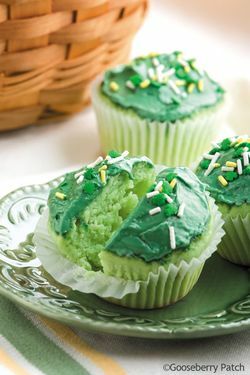 I suggest Chocolate Mint Cupcakes from MarthaStewart.com. Did you know that blue use to be the color of Saint Patrick’s Day?